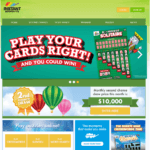 At Australia you can now try your luck to win $1 Lunar New Year Scratchie to win real $888 AUD. 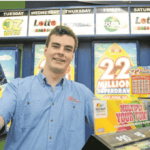 This instant scratchie game has been launched recently by The Lott Instant Scratch Its in Australia. 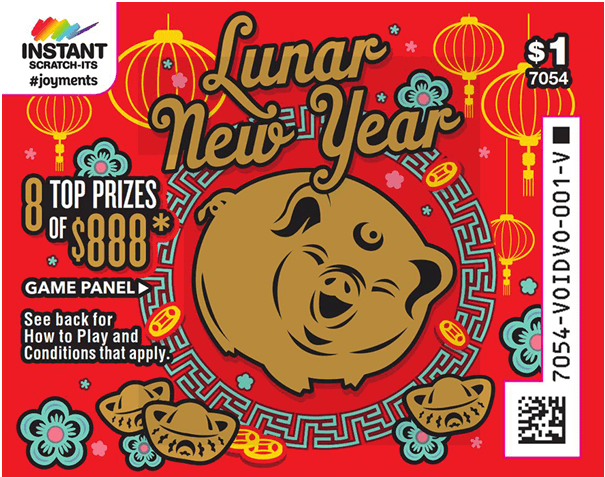 As this year 2019 is the year of Pig in Chinese lunar calendar so you can try your luck in Instant scratchie game to win something Big. In Chinese culture, pigs are the symbol of wealth. How to play Lunar New Year Scratchie? 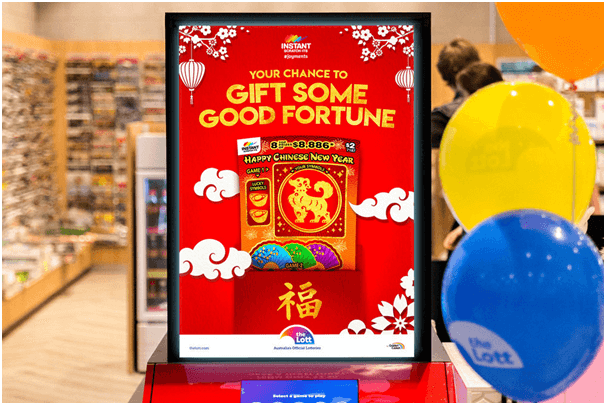 Go to your nearest retail lottery outlet and buy the Lunar New Year Scratchie ticket. Also you can join Scratch eClub that offers you the opportunity to enter your eligible non-winning Instant Scratch-Its tickets in a monthly 2nd chance draw, as well as automatic entry into a monthly birthday draw! Now scratch to find the winning combinations or symbols. 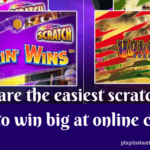 Note that the odds of winning a prize on Instant Scratch-Its are generally 1 in 4, however this doesn’t mean that if four tickets are purchased one has to be a winner. These are overall odds based on the total number of tickets available for sale in a game, not on an individual purchase. All prize amounts (including the top prize) are only available until won. If you win there are several ways to collect your your Instant Scratch-Its prize. 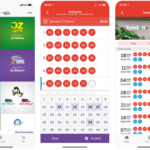 Prizes less than $1,500 can be claimed at any retail outlet that sells Instant Scratch-Its tickets by presenting your winning Instant Scratch-Its ticket. 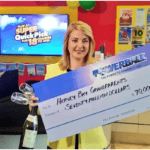 For prizes $1,500 and over simply complete the Prize Claim Form and enclose the winning Instant Scratch-Its ticket, and mail to your nearest lottery office. 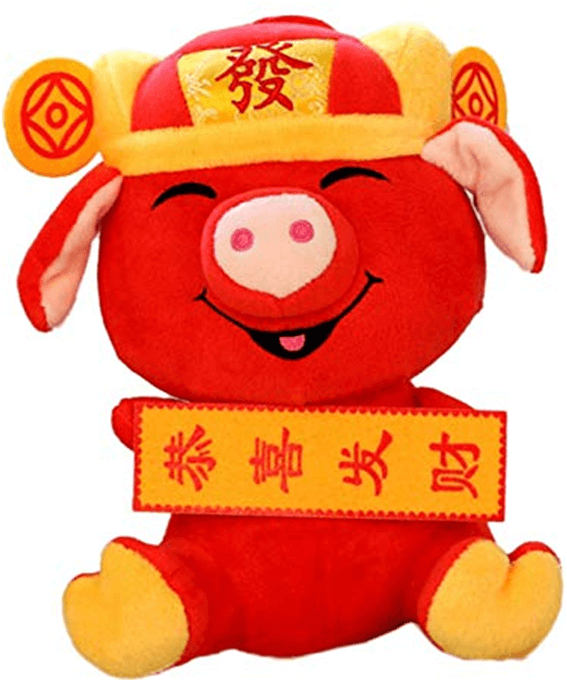 Finally for those who believe in the Chinese year of Pig your lucky numbers: 4, 6, 8 and lucky days to play instant scrachie is the 2nd, the 7th, the 10th, the 11th day of every month of the Chinese calendar in 2019. If you win don’t forget to send us your winning story.